In fact, a good skin care routine is a must for maintaining the glory of your beautiful skin. 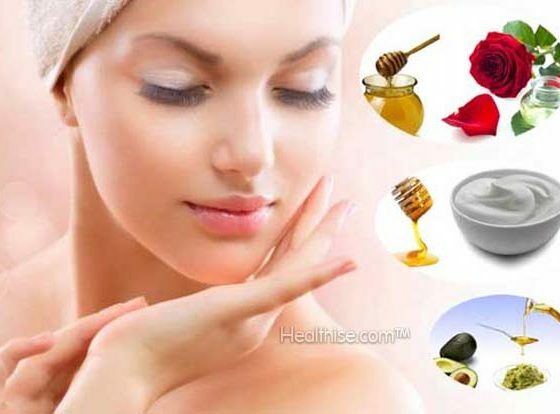 In this context, using homemade products is the best way to make your skin shine naturally. Diet plays an important role in maintaining the health of the skin. Diet should supply all the nutrients needed to build health, namely, protein, carbohydrates, fats, essential fatty acids and all the essential vitamins and minerals. Such a diet will consist of liberal quantities of seeds, nuts and grains, vegetables and fruits, supplemented by special protective foods like milk, vegetable oils, yogurt, honey and yeast. 1.2 The Ultimate Skin Care Tips for Men/Women of Any Age! Lime juice is an important natural aid for healthy skin. Never squeeze your pimples as the skin will blemish and the bacteria will spread causing more pimples. Allow the pimples to air dry and flake off. Take an egg yolk and mix in a few drops of lime and olive oil. Spread on the face and leave it till the skin feels dry. Wash off with ordinary water and splash on cold water. Don’t use chemicals or harsh cleansers that will rob your skin of the precious oils. Don’t scrub your skin as this will cause the skin to over-produce oil, clogging the pores. Apply the pulp of a tomato liberally on the face. Leave this for an hour. Then wash off with warm water. Repeat this daily. You will have a good complexion. It will also remove ugly-looking pimples in a short time. Avoid extensive usage of hair gel and sprays on your skin. They clog pores and can even harm the skin. Blanch and grind two almonds. Mix it with white of an egg to which half teaspoon of lime juice has been added. Spread on the face and leave it on till the skin feels dry. Then, wash off first with warm water and then with cold water. Avoid touching your face during the day as your fingertips touch a lot of surfaces and you may transfer the dirt and grime to your face. Dip your fingers in fresh tangerine or orange juice. Apply it liberally over your face, chin, neck, and forehead. Make a paste from the powdered sun dried pips of unripe oranges. Use this paste on the pimples and acne at bed time. Exfoliate your skin which can remove the layers of dead skin. You can use natural ingredients for skin exfoliation. Use a paste of walnut in powder form with curd to exfoliate your skin, as the antioxidants present in walnuts help remove dirt and promote flawless skin. And what do you think of how I look? I’m trying to lose 10-15 lbs so please don’t suggest that.